The Diary is a blend of School activity and news, together with reports and editorial from the Development Office & OB Club. The Diary is published termly and all Old Blundellians, Parents both past and current, former staff and supporters will receive a hard printed copy. To receive a Diary, please ensure your contact details are correct. Either log on to the database to update your details or if you wish to receive an electric copy rather than a hard copy, click here to tell us your mailing preferences. 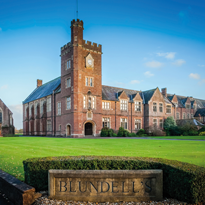 The Blundellian (the school annual review) is published once a year in the autumn term and is a summary of school life throughout the year. The Blundellian is available for £25 per edition. Please contact the Development Office for a copy.